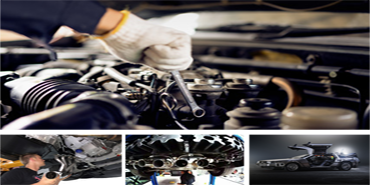 Automobile fasteners: fasteners is a generic wording for a range of parts used to link or fasten in place several components of a vehicle: this covers bolts, nuts, washers and rivets usually cold headed from stainless steel wire rod or drawn wire. There is a large variety of grades used in automotive fasteners generally per ASTM A193. Most prevalent are 302HQ, 304L, 316L, 410, 409Cb. Also 17-4 (grade 630) for restraint systems and for brakes. Noteworthy the substantial use of high temperature “super stainless” A286 (grade 660) for exhaust manifold safety bolts: this very same grade is a common use in Aerospace applications. Also 409Cb bolts in exhaust line. Flat stainless steel wire for windshield wipers. Thus, stainless steel wire is a widely used material, essential to Automobile safety, durability and performance. It is no surprise that Stainless Steel, a modern material with an attractive combination of mechanical and corrosion resistance properties, would indeed find many usages in Aeronautics/Aerospace domains. 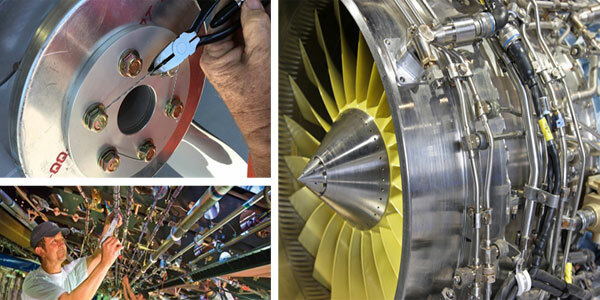 Aerospace fasteners: fasteners is a generic wording for a wide range of parts used to link together several components together such as stringers, flanges, skins, ribs, stiffeners in the aircraft airframe and the engine mostly. 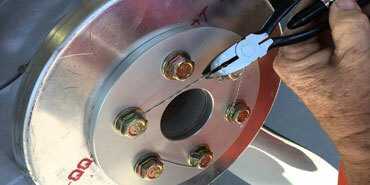 Such fasteners are cold headed from wire rod or drawn wire into screws, bolts, washers, nuts and rivets. In view of the stringency of the applications, the wire rod or wire is frequently “shaved” to minimize the occurrence of surface cracks. Though regular grades such as 302HQ and 316L are used, specific grades are prevalent in Aerospace, primarily A286 – grade 660 / ASTM A453. This high end austenitic Ni/25-Cr/15 is age hardenable and combines good corrosion resistance with excellent creep resistance up to 700°C. It is therefore widely used, particularly for jet engine components. Another set of precipitation hardening grades 13-8Mo and 15-7Mo, have found a large use as stems of blind rivets (Allfast technology). Aircraft cables: aircraft cables are obviously of primary importance to safely provide the essential functions of controls in aircrafts for wing flaps, landing gear, as well as adjustable head-back on passenger seats, etc… Note also other applications such as helicopter hoists for cargo loads or rescue .These cables are made of wire ropes stranded from 304 and preferably 316 wires. Miscellaneous applications: a specific application of particular relevance to safety of aircraft assemblies is the “safety lock wire”. This wire is a physical locking device which holds nuts, bolts or other fasteners in place to counteract forces due to vibrations. Safety lock wire is often an annealed 316 stainless wire, size ranging from 0.5 to 1mm packed in small canisters. Also more traditional uses of stainless wires: springs for switches, flexible metal hoses, emphasizing the large use of stainless wire in Aerospace applications. Stainless steel wires are increasingly present in medical applications which rely on their attractive combination of corrosion resistance, durability and mechanical properties. 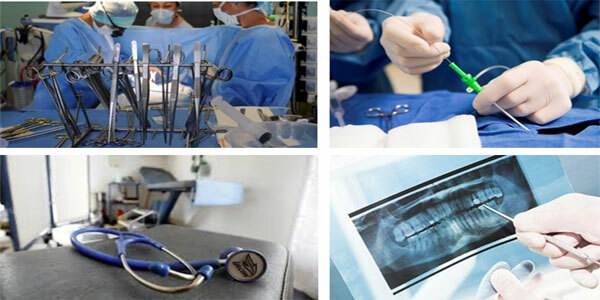 The main domains of applications are primarily the increasingly sophisticated field of “medical devices” used in diagnosis, investigations and innovative surgical techniques such as laparoscopy, and the more traditional areas of implants as well as surgical miscellaneous parts. Stainless steel wire can be in various presentations (round, flat or shaped wire) and forms (mesh, braided, straightened cut lengths, cables). Main grades used are 302, 304, 316L most often as the ESR-remelted grades 302 V, 304V, 316 LVM. Also used are grades 630 (17-4 PH) and 440C. Wire sizes are mostly in the smaller dimensions. Orthopedics applications: this broad field covers trauma, reconstructive, spinal & sports medicine. Stainless wires can be found in fracture fixations, spinal devices, nails, bone pins and screws, cerclage cables, suture wire. Orthodontics: this specific field of applications often uses shaped stainless steel wires for arch wire, self-litigating brackets, springs. Both the aesthetic and the mechanical properties of stainless steel are at work there… Related field of “implant dentistry” also makes use of stainless steel wire. Surgical and diverse applications: Stainless steel wire is often used for post-surgery staples, suture wire and needles, stylets. Another important field of use of stainless steel spring wire is the spring mechanisms of syringes, medical or self-injection systems for diabetes, allergic reactions. Stainless steel wire is thus an important item in the increasingly diversified and fast growing medical field, in surgery, implants and sophisticated devices. The cleaner stainless steel can be kept while in storage, being processed or during use, the greater is the assurance of optimum corrosion resistance which is the main reason of using stainless steel in the first place. In the forefront, design, fabrication and proper selection of grades have to be taken into consideration to minimize the upkeep problems of strictly speaking “maintenance cleaning” versus “remedial cleaning” once corrosion onset mandates more complicated intervention. - aesthetics / shininess in interior or exterior decoration: removal of dirt, particles outside, fingerprints and oily marks in the interior applications. - food processing, whether industrial or household: there, the requirements are essentially mandated by hygiene considerations & regulations. 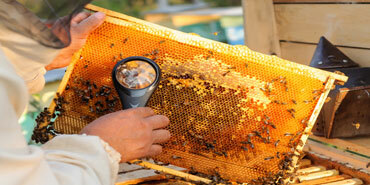 Dirts, fats, food fragments, particularly salt-containing, are the target of cleaning. In all the situations of maintenance cleaning, the process should start with warm water, with then use of ammonia or mild alkali detergents, eventually in conjunction with a brush with nylon bristles. Grease, fats, oily marks will be best dealt with organic solvents and alkaline cleaning products. Follow by proper rinsing and drying. Also avoid completely coarse abrasive powders, steel brushes and chlorine containing cleaning agents such as bleach! 2– Remedial Cleaning: i.e. the removal of corrosion products signaling the incipience of localized corrosion not only mandate the removal of the “rust” sometimes called ”tea staining”, but also to go to the root cause of the problem. This is fairly frequent in grade 304 when exposed to sea spray or de-icing salts in urban applications of stainless cables. Remedial cleaning involves first some delicate brushing of the corroded area with nylon bristles or stainless brushes. Then the cleaning is done with Chlorine-free acidic mixes, such as citric acid cleaners, and most frequently nitric acid detergents or pastes which also repassivate the cleaned surface. Also, this might point out to improper grade selection and the need of Mo-containing grade 316 with a much higher resistance to localized corrosion induced by Chloride ions. Locking wire or safety lock wire is a type of stainless steel wire that is used quite extensively in the automotive and aerospace (aeronautical) industries. What exactly is the main use or purpose of this type of stainless wire in these industries? First and foremost, components of any system in the automotive and aerospace industries are subject to a high level of vibration and critical environment factors. This means that bolts, nuts and other components are put under a great deal of stress and due to potential hazards, these components all need to be able to withstand such a stressful environment without failure, malfunction or damage. Safety lock wire is a soft annealed wire. Its main use or purpose is to secure the nuts, bolts and other components that are exposed to vibration and other stressors. 304 annealed stainless steel safety lock wire provides the type of flexibility and stressed required to secure critical bolts in safety components and throttle assemblies. If you are looking for safety lock wire that is suitable for use in automotive and aeronautical applications, ensure that the products are manufactured with full NASM 20995 certification. This certification deems certain stainless steel wire products suitable for use in aerospace, aeronautic and defense applications. All of these safety wire lock products are provided in 450g canisters with convenient clips for belt attachment. Our canisters range from 68m to 280m in length. If you need assistance in selecting the right safety lock stainless steel wire for your application, simply chat to one of our sales consultants who will impart with a wealth of product related information and advice. 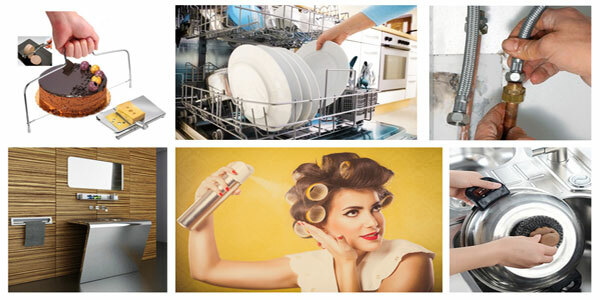 Stainless steel is now the most commonly used material of choice for household appliances and utensils due to its “food compatibility” and more generally to its resistance to various types of corrosion. Cooking & storage: In this broadly defined category, most applications involve single wire or coarse weaves. - springs in beauty or luxury sprayers : hair spray, perfumes/fragrances. In view of the very diverse household uses, a wide variety of stainless steel grades are encountered : austenitic grades 304, sometimes 316 are the most used, but a substantial proportion of simple utensils use ferritic grade 430 (mixer whips, mesh strainers, etc...), all the more so in view of the cost difference with Ni-containing grades. Aerosol spray spring wires sometimes require high corrosion resistance necessitating the use of super-stainless grades such as 904L. Where do you buy your stainless steel wire products? Are you shopping locally or would you be interested in saving on costs by shopping worldwide? When shopping around for stainless steel wire, certain factors will influence the type and grade that you purchase. • Cost of production of the stainless steel wire. • Corrosion resistance of the stainless steel wire. • Mechanical properties of wire when exposed to different temperatures. It can be quite a challenge trying to find the right type of stainless steel wire grades for your specific application or industry, especially if you aren’t already familiar with the leading stainless steel wire manufacturers in the world. Whether you are looking for stainless steel vine wire, annealed wire, welding wire, wire rope or smooth steel rods – you can shop effectively for these online at Sadevinox. Product quality and durability should be of the utmost importance when shopping for stainless steel wire. To ensure this, deal with stainless steel wire manufacturers who provide their wire products with a 3.1 EN 10204 certification, chemical analysis, specified mechanical properties and traceability. 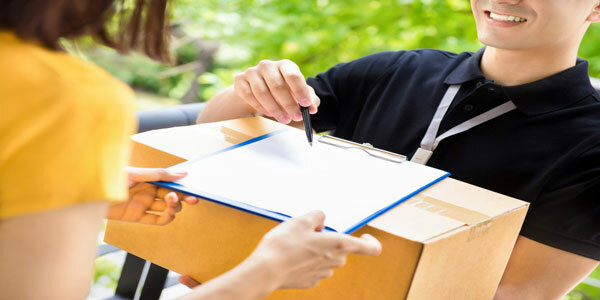 Some suppliers can also ensure a tariff duty for orders placed outside of the European Union. Where can you find all of this? At Sadevinox of course! 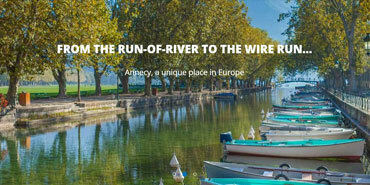 At Sadevinox, we offer 48 hour delivery of our stainless steel wire products across Europe. If you are located elsewhere, we offer 72 hour delivery worldwide. - General decoration of interiors of buildings: these applications cover interior decoration of office buildings, shopping malls, museums, theaters, etc... They are a natural component of decorative uses of stainless steels in overall architecture. Stainless steel wire is thus found as wire ropes connecting posts in stairways to complement hand rails made of stainless tubes, in balustrade applications of similar type : such applications combine decorative and structural functionalities. Stainless steel wire in a wide variety of meshes can be found as metallic fabric and drapery for wall cladding decoration. Ring mesh curtains with single wire or wire ropes are often found in shopping malls as dividers. Modern designers can propose and realize very elegant combinations of stainless steel tubes, wire ropes and wood in staircases for building interiors. - Restaurants and upscale shops: there too, stainless steel wire is in demand for purely decorative reasons as well as functional, in keeping with the luster and cleanliness image of stainless steel. Thus stainless steel wire meshes can be found as: functional partitions, mesh drapery curtains and intercrimp wire meshs for decorative purposes. Also, certain lounge seats and bar stools of “trendy” designs can combine elegantly stainless steel wire mesh and cushions. - Home decoration & furnishing: mixing functionality and beauty, stainless steel wire mesh was recently used in the renovation of a large luxury apartment complex in Chicago: elegant wall panels offered distinctive decoration while concealing mechanical equipment and complex home control systems. 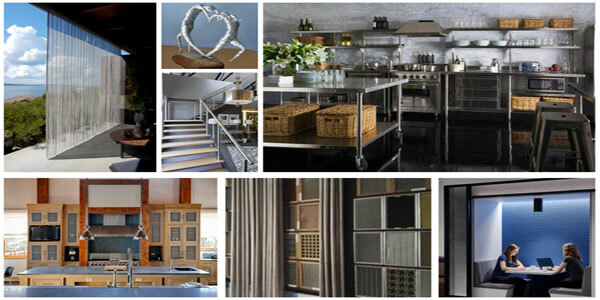 Stainless steel as a modern trendsetter is often combined with glass in dining room and sitting room furniture such as dining room table and chairs, coffee tables, bar stools, lamp stands with intertwined wire, modern design chandeliers, etc... Stainless steel wire is also widely used for art work either in free standing structures or framed with a background of velvet for wall hanging. Finally, stainless steel wire mesh are found in partition screens and also draperies in bathrooms. In view of the low level of corrosion resistance required for interior decoration, stainless steel grades used are mostly austenitic 304 with its elegant gray luster and also ferritic 430 where bright and shiny appearance is needed. Stainless steel piano wire or ‘spring wire’ as it is often called, has a variety of interesting uses. Why is piano wire so versatile and so well suited to a variety of applications? 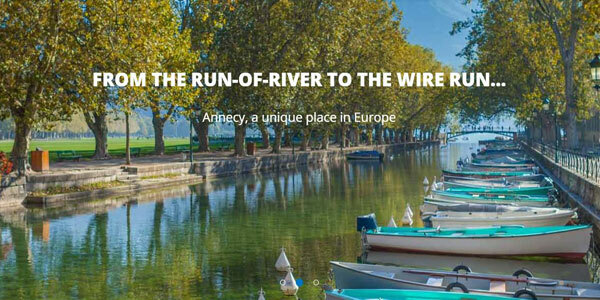 Piano wire has a very high tensile strength which enables it to effortlessly handle heavy demands. Leading stainless steel wire manufacturers should stock a wide range of piano wire products for you to choose from. If you aren’t sure which type or grade of piano wire you require, chat to your chosen wire manufacturer or distributor who should be able to provide you with product information and specifications. • Hardwire coils of 0.10 to 0.80mm. • Hardwire coils of 0.90mm to 1.50mm. • Hardwire coils of 1.60mm to 5.00mm. • Hardwire rods in 1m lengths. All of these stainless steel piano wire products are readily available from us at Sadevinox. At Sadevinox we believe in providing our clients with only the finest quality stainless steel wire products.If you are looking to buy piano wire that is durable and affordable, you have come to the right place. We stock a range of piano wire coils that range from 0.10mm to 5mm diameters. We also stock hardwire piano wire rods. 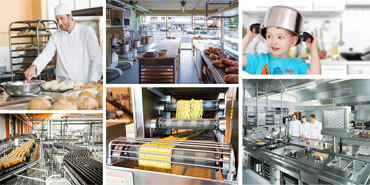 Stainless Steel Wires, as one of the generic stainless steel products, find numerous applications in food processing. Indeed, stainless steels have long ago established themselves as the materials of choice for almost all food processing and storage equipment. What attributes make stainless steels so eminently suitable? “Industrial” food processing: this large domain of applications goes from the upstream crop processing to the booming industrial areas of meat, dairy, cheese and cooked edible products, whether for animal feeds or, more or less extensively processed, food products for human consumption. On the upstream, wire mesh grids are used to screen agricultural raw products from grain to vegetables and fruit where calibration is a must and finer wire mesh are used for filtering primary juices such as olive oil, fruit juices. In the downstream, many uses of stainless wire baskets, trays, racks are found in meat and cheese processing, as well as hooks made of formed stainless steel wire. Also, wires woven, crimped or straight & cut, are the choice in many conveyor belt systems used for food processing and transfer. Grade selection is obviously a must with prevalence of the austenitic grades 304, 316 (if presence of salty mixtures or brine, etc…) and sometimes 314 (heat resistant grade). Cable trays made of stainless wire baskets are also a common use all through the “food chain” of industrial processing. “Professional“ food processing: though the limit between industrial and professional is not clear cut, “professional” correspond to food processors in direct contact with end consumers, such as bakeries, butcheries, delicatessen shops , fish markets, restaurants (regular, fast food ). 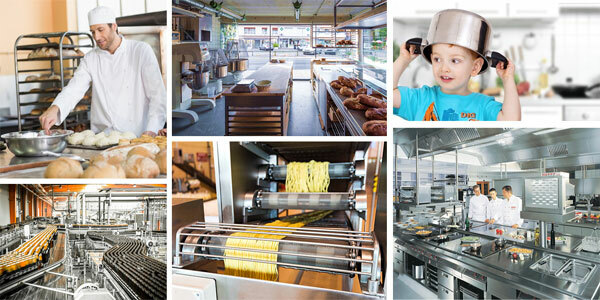 As to be expected, one will find there the same types of usages as in industrial, but on smaller scale and different product mix: for instance, prevalence of racks for display to customers and cold storage, formed wire in mid-size mixers, cooking racks for ovens, wire baskets for strainers and also specific applications such as formed wire for transfer trolleys. Fast food outlets have generated a large use of frying baskets for French fries, most often electropolished 304 formed wire of so-called “EPQ” quality. Also, the wineries use routinely stainless wire mesh for filtering purpose, all through the wine making process. In summary, food processing is a key area of use of stainless wire or wire mesh. Beyond the prime aspect of resistance to corrosion and well established “food compatibility”, austenitic stainless steel wire also brings its unique mechanical properties: easy conformation and strain induced high strength. 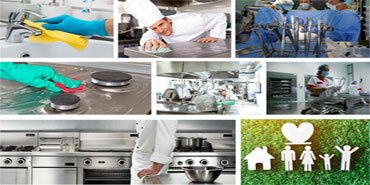 Also noteworthy is the need for proper cleaning and upkeep of stainless steel in food processing equipments. If you have been shopping around for the best welding wire on the market, you will have undoubtedly noticed that there are various types of welding wire on the market. When it comes to stainless steel welding wire, there are two main variants for you to choose from. These are MIG welding wire and TIG welding wire. Stainless steel welding wire is a popular option as a result of its weldability and mechanical properties. This type of welding wire belongs to a group of high alloy steel with a chromium content of less than 12%. This undoubtedly contributes to the weldability of the wire. This stainless steel welding wire is manufactured to be used with metal inert gas (MIG). This is a high performance stainless steel wire that will go a long way towards reducing production costs while boosting actual production. MIG welding is a type of welding that can only be done with thin to medium metals. 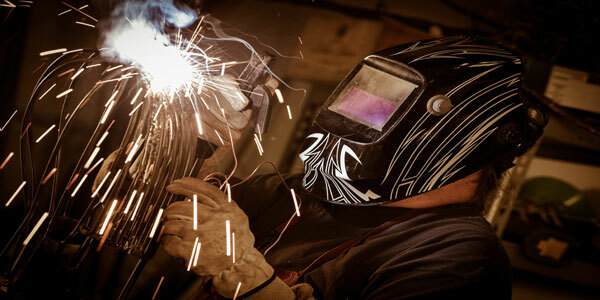 Corrosion resistance is one of the benefits of MIG welding wire. How resistant the wire is will depend on the grade of wire used. We stock the following grades of MIG welding wires at Sadevinox: 316LSi, 307Si, 308LSi, 309LSi and 310. This stainless steel welding wire is manufactured to be used with tungsten inert gas (TIG). TIG welding is a type of arc welding process where non-consumable tungsten electrode is used for the purpose of welding. This type of welding is more versatile than gas welding and must be done with the correct welding wire. TIG welding wire is typically corrosion resistant and just how resistant will depend on the grade of wire invested in. At Sadevinox, we stock the following grades if TIG welding wires: 308L, 310, 316L, ER316LSi, 307S, 308LSi, 309L, 307Si, 385 and 347Si. When it comes to the manufacturing of stainless steel wire, product quality, durability and reliability has to be ensured. Whether you are purchasing vine wire, annealed wire, welding wire, wire tope, smooth steel rods or otherwise, you need to know that the product is able to meet with industry imposed regulations and standards and that the correct chemical compositions are used. This is why EN 10204 3.1 certificate matters. This particular certification guarantees that the stainless steel product being purchased is compliant with the standards set in place. Any materials that do not meet with the EN 10204 requirements will not be able to achieve a 3.1 certification. The 3.1 certificate is generally issued by an independent authority, not associated with the manufacturing concern in question. The certificate is further validated by an authorized inspector. In situations where a stainless steel product does not perform or offers an inferior quality that results in disaster, the 3.1 certificate and any chemical testing analysis and mechanical properties can be used to answer the question of “what went wrong?”. 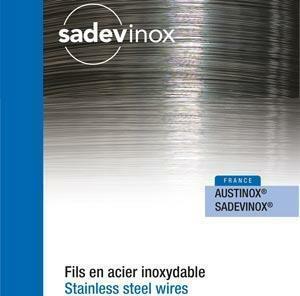 Sadevinox presents the market with EN10204 3.1 certified stainless steel wire products. At Sadevinox we ensure that each of our stainless steel products is manufactured according to the strictest of industry standards. All products are also delivered with their 3.1 EN 10204 certificate in place, for your reference and peace of mind. This certificate covers the chemical analysis of the product, an indication of the product’s mechanical properties and traceability. • Stainless steel vine wire. • Stainless steel wire rope. • Stainless steel annealed wire (soft wire). • Stainless steel hard wire / Piano wire. • Stainless steel welding wire. If you would like to learn more about our EN 10204 3.1 certified stainless steel products, contact us at Sadevinox today.